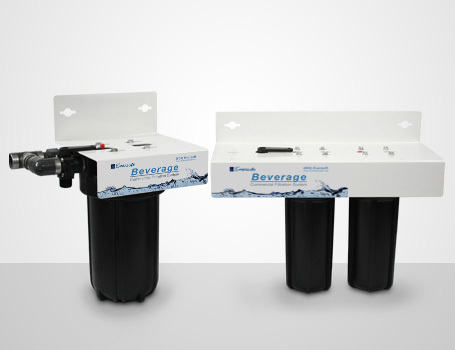 Our Beverage Filtration Systems are designed for commercial coffee, tea, juice, and soda machines of various sizes and capacity. We offer single and multi stage housings to accomodate your filtration needs based on specific water conditions in your area. Eversoft’s high quality systems control contaminants through the use of carbon and micro filtration. We offer our products and service under a rental program or straight purchase plan. 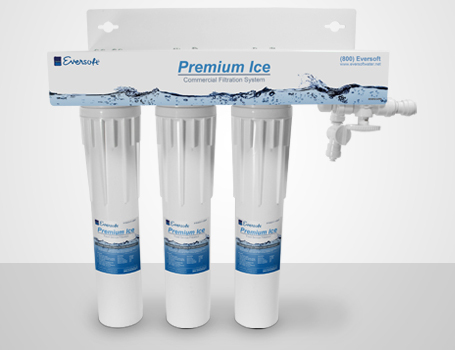 Our Premium Ice Filtration Systems have been designed for high flow, commercial grade ice machines. We offer single and multi stage housings to accomodate your filtration needs based on specific water conditions in your area. Eversoft’s high quality systems control water contaminants through the use of carbon and micro filtration. Our ice machine feeders maximize equipment efficiency by protecting your ice machine from clogging and corrosion, resulting in less down and repair time. We offer our products and service under a rental program or straight purchase plan. 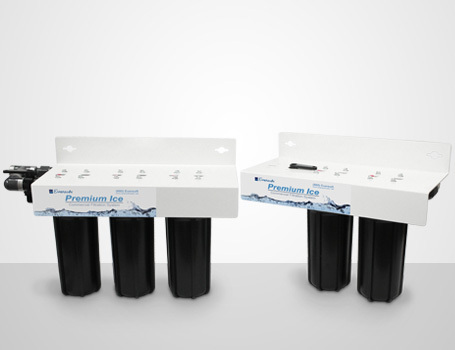 Our water filtration systems significantly improve the taste of your water by removing foul taste and orders. We offer single and multi stage housings to acomodate your filtration needs based on specific water conditions in your area. Water is a high priority for the food service industry. Our high quality systems control contaminants through the use of carbon and micro filtration, resulting in great tasting water. We offer our products and service under a rental program or straight purchase plan. Provide better tasting water by removing particles, foul taste, and orders. You'll love the quality, and your customers will too! 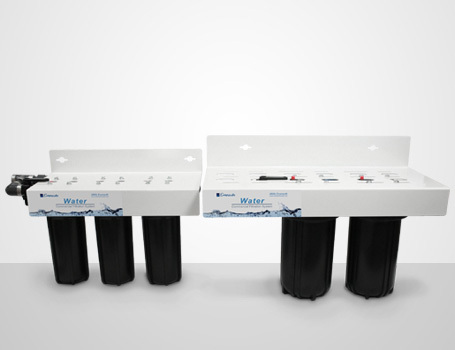 This system prevents bacteria from reproducing in your water by using ultra violet technology. Combined with a carbon block cartridge (included) this filter is great for drinking water. In addition to disinfection, the double and triple models provide filtration for the removal of sediment and chemical contaminants. 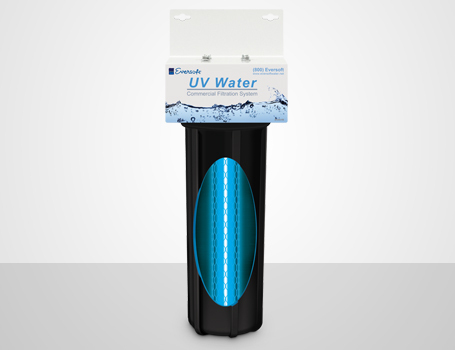 Our UV20 Series models can be combined with water softeners, distillers, reverse osmosis and ozone systems. Now you can enjoy the benefits of Eversoft's great products and service, without having to purchase a new filtration system. We offer alternative filter cartridges that are compatible with your existing quick disconnect systems, at a lower cost. Continue to provide your customers with great tasting water, ice and beverages.